Preparing for ‪#‎tax‬ season? 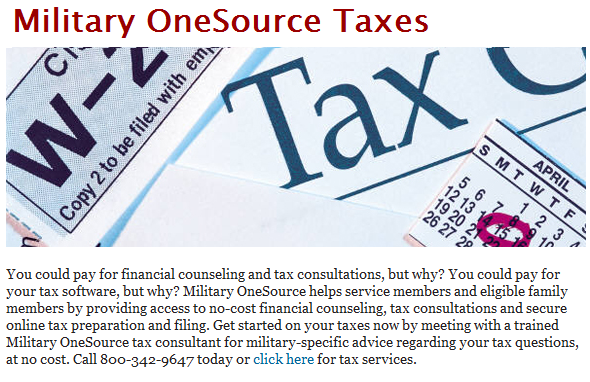 Military OneSource tax service is available for eligible service members and their families any time of the year, anywhere around the globe-- free of charge! It's just one of the many benefits offered by Military OneSource. Take advantage of the benefits you deserve! News shared by the East Valley Veterans Education Center, providing free services to veterans and their families, including educational and career outreach, academic advisement, community referrals and in-person workshops and classes.